Formerly named R51, Wynona Bleach is a Alternative Rock/GazePop band from Belfast, Northern Ireland. Formed in January 2018. Wynona Bleach is the evolution from an indie alt rock band called R51, formed in 2014 by founding members Melyssa Shannon (Vocals), Jonny Woods (Guitar, Vocals), Aaron Black (Guitar) and Matt Killen (Drums). Carl Gilmore Joined on Bass in 2017 ahead of a 12 Date Russian Tour, After releasing their second Self Produced and Released EP “NO CHILL”. Prior to this they played BBC Introducing stages at Reading and Leeds festivals, supported Feeder, and performed on a televised anniversary of the BBC’s Introducing music show in Northern Ireland at a sold out show in the Ulster Hall. 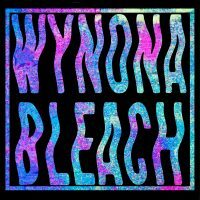 Wynona Bleach released their Debut Single “Eyes Burning” in January 2018, and a debut album containing new material (along with some selected revamped R51 tracks) will be recorded in a warehouse in rural Portugal during the summer of 2018.